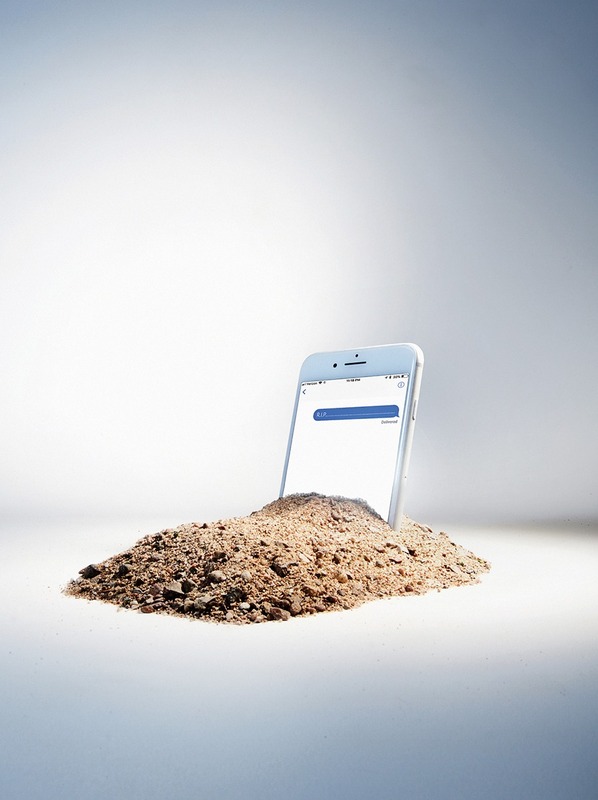 When Loved Ones Die, What Do We Do with Their Text Messages? By Luke O'Neil·	 6/12/2018, 5:45 a.m. I don’t remember the final conversation I had with my father. Toward the end of his life, he was hard to understand on the phone, as years of substance abuse and failing health had garbled his voice. He’d call at inopportune times—from a rehab center or hospital on the Cape, or the home of a friend in Florida he had somehow charmed his way into—and I’d hurry to get off the phone. Sometimes I’d find myself annoyed by his attempts to reconnect and let the call go to voicemail. It had been more than 15 years since we’d had anything resembling a normal relationship, and more than 30 since he and my mother had. Even in my frustration, though, it was hard not to think of his looming existential deadline. I may never get the chance to talk to him again, I’d say to myself. I always did. Until, of course, I didn’t. Shortly before Selene Angier, a copywriter from Cambridge, lost her mother, she received a voice message of her mom singing “Happy Birthday.” It was before she knew how bad her mother’s cancer was, and now, three years later, the song serves as a time capsule of happier days. Angier listens to the recording on her cell on her birthday every year. She’s even backed it up, just in case she loses the phone or something unexpected happens. “I cherish that voicemail, and a few other random ones I have not deleted yet, even the super-boring stuff like ‘I’m running late, be there soon!’” she says. “It’s a great comfort to still hear her voice, more so on the day she brought me into this world.” When we spoke, Angier’s father was dying of cancer and she was preparing his digital memorial, saving everything. “On my birthday,” she says, “I asked him to leave me a voicemail singing ‘Happy Birthday’ to me, so I’d have his, too. He mistimed the recording, and all that’s there is ‘…to you!’ followed by a minute of silence.” He’s since passed away. Texts and voicemails are just two of the ways in today’s digital world that we can stay connected to those who’ve passed away. But when it comes to online memories, cherished or not, they’re hardly the only ones. Which brings me to my next point: As technology advances, it promises to change the very nature of how we mourn our loved ones. In Wired last year, for instance, writer James Vlahos documented his final few months with his father, during which he tried to capture the idiosyncrasies of his dad’s voice and upload it into an artificial intelligence chat software he called the Dadbot. It was an attempt to effect a sort of immortality—a concept many are working on around the world, and one sure to be improved upon. One company recently made headlines by promising to preserve your brain and upload it to the cloud—a cool idea, except they had to kill you to do it. Right now, we don’t know much about the impact of our devices on mourning—at least not academically. There just haven’t been many studies of it, says Elsa Ronningstam, an associate professor at Harvard Medical School and clinical psychologist at McLean Hospital. I suspect that when it is studied, we’ll find that phones have vastly complicated, and perhaps even forestalled, our ability to grieve in a natural fashion. Still, allowing yourself to remember is part of the mourning process, says Michael Grodin, a professor of psychiatry at the Boston University School of Medicine who works with trauma patients from around the world. “You can’t get rid of the memories, but you don’t want to constantly be in the moment.” In his estimation, there’s nothing abnormal or unhealthy about returning to digital artifacts; it’s no different from cherishing an old blanket or wearing a loved one’s T-shirt. It’s just a matter of monitoring the extent of it. “If it’s interfering with relationships, everyday functioning, your ability to work and carry on with life, then it’s worth seeking professional help,” Grodin says. Even after all of these interviews and the hours I’ve spent thinking about my father’s texts, it’s not entirely clear what they mean to me, or if they even mean anything at all. Contending with the digital endpoint of a relationship with a person who was a constant and loving part of your life for a long time is a lot different from when it is a reminder of someone who was absent. I can no longer call my father on the phone, but that was true for most of my life anyway. Perhaps I should have done so more often. Perhaps he should have. Every text I have now is a glaring reminder that neither of us bothered to. I feel guilty about that. In part that’s because he had the foresight to die before my loving stepfather, hogging all of my good “my dad died” writing before the man who actually raised me could get the chance. I wonder if he was capable of thinking about any of this stuff in the last week or two he spent in a medically induced coma at the hospital as his children and exes reemerged to say goodbye one final time. It was like a dress rehearsal. We were talking to him, but he couldn’t talk back. I guess I’m doing the same thing now.